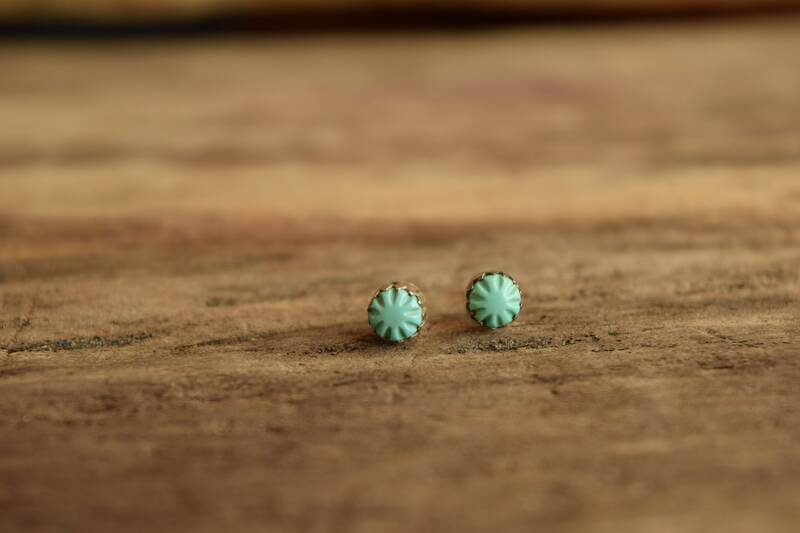 These round stud earrings showcase beautiful carved turquoise stones for a unique accent. 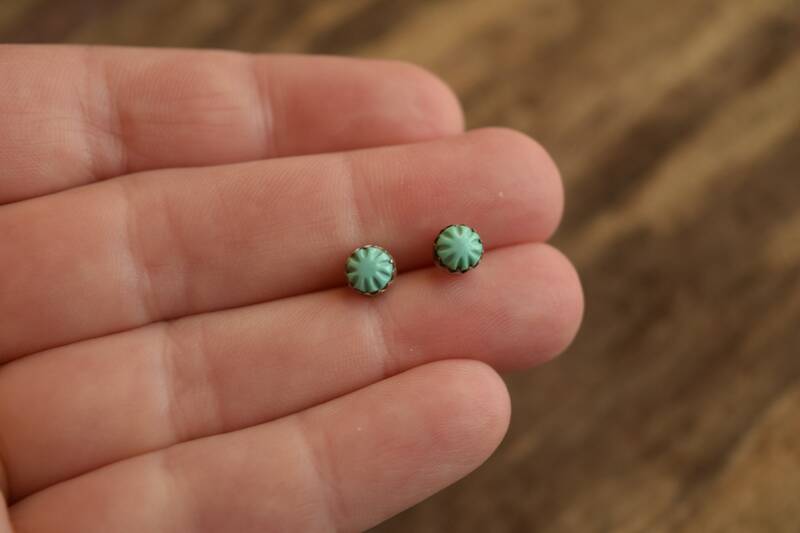 Each is only 3/16 inch across and perfect for spring, summer or fall. Condition: Good condition. 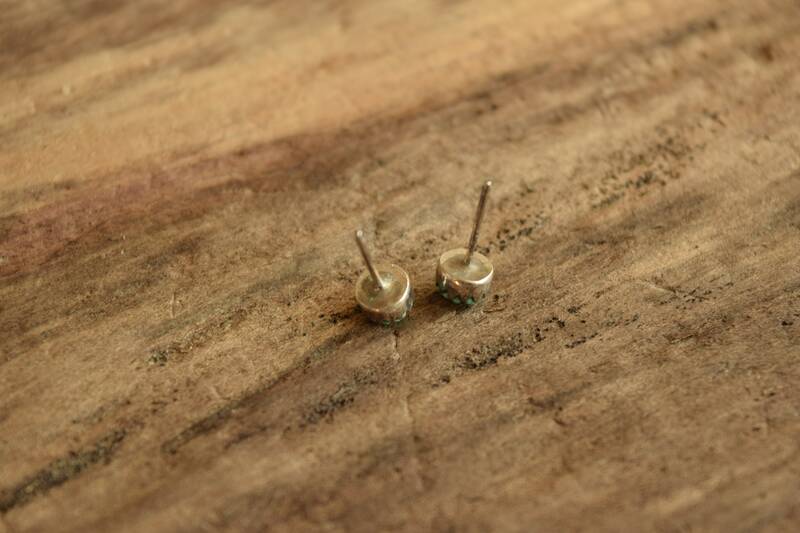 No major damage, some light surface wear to the silver. 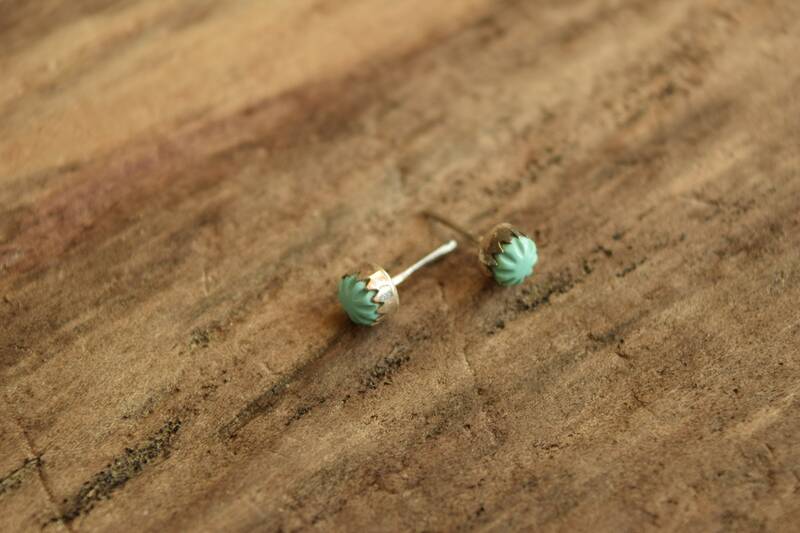 We've sanitized these cuties and they'll arrive with brand new ear backs for a comfortable fit. Please know colors can vary depending on your screen or device settings. 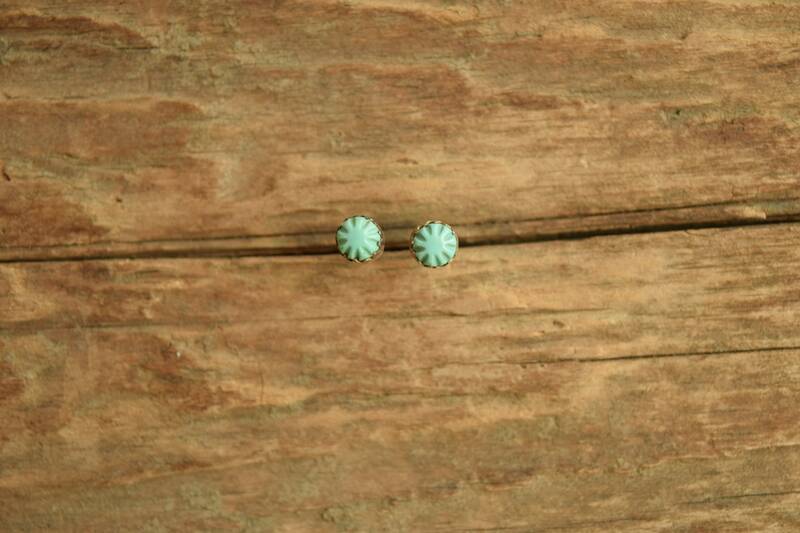 Check out all our turquoise in the shop today!